Dr. Cynthia Bailey, dermatologist and founder of Dr. Bailey Skin Care, turns to this product to keep her feet and elbows soft as can be year round. “Glytone packs 30-percent glycolic acid into this pharmaceutical-grade professional product and nothing compares in terms of results,” she says. 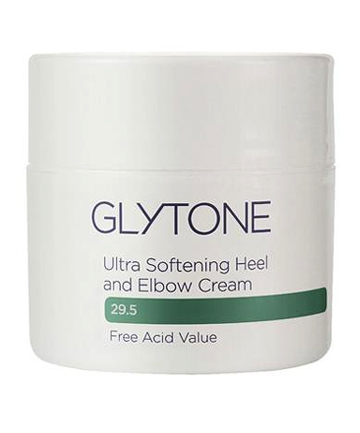 “As a main ingredient, glycolic acid eats through rough heels to soften hyperkeratotic skin so that you can file it off and have soft and pretty feet in summer sandals.” In the winter, this product also comes in handy to heal dry, cracked joints. 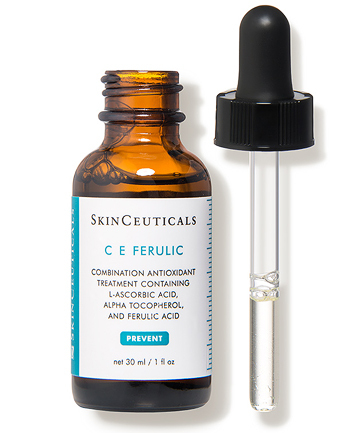 Likewise, celebrity dermatologist Dr. Natasha Sandy also counts herself a fan of CE Ferulic, which she says fights against free-radicals like UV rays, sun exposure, pollution and cigarette smoke that can cause cell damage and lead to appearance of aging and injury. “Vitamin C is the only collagen stimulator that also has antioxidant properties and collagen provides a structural protein that helps with skin firmness, improving wrinkles, fine lines and large pores,” she says. 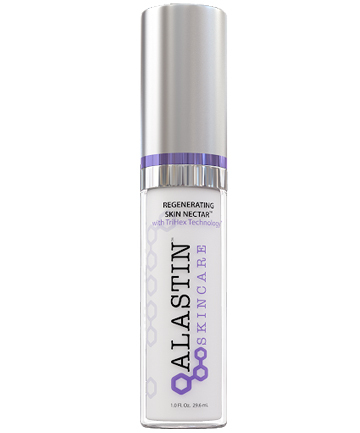 This topical moisturizer has a pricier retail tag, but for good reason, according to Dr. Palm: “The manufacturers of Botox own the line and have invested millions in basic science and clinical research to develop the most effective hyaluronic acid ingredients in a moisturizing cream,” she explains. 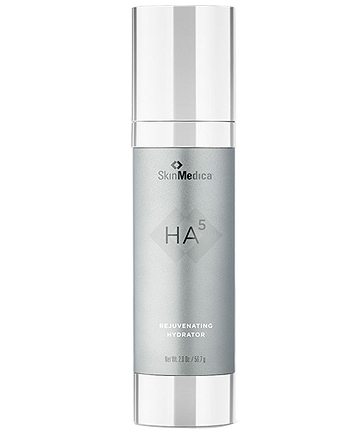 “HA5 contains five types of hyaluronic acid to deliver unmatched hydration to the skin and creating a luminescence in areas of application.” It’s also formulated for all skin types — even oily — which is always a plus! 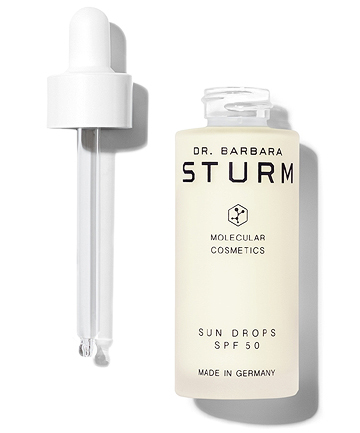 Sun protection is always a good idea — especially when it comes in drop form like this light formulation by Dr. Barbara Sturm. “The drops contain a blend of the most advanced SPF 50 UVA and UVB filters and is packed with anti-inflammatory, anti-oxidative, cell-regenerative and pH balancing ingredients, like purslane, cassia extract, vitamin E, beta glucan and arginine,” explains Dr. Sandy. “Purslane is a natural antioxidant that protects DNA of the cells from age-related dysfunctional, like UV damage.” You can wear the drops on their own, or mix them with your favorite face cream (another bonus of the easy-to-use dropper packaging and formulation). This is the one product Dr. Lily Talakoub, dermatologist at McLean Dermatology and Skincare Center, in McLean, Virginia, can’t live without. “It’s a deep hydrator of the skin, but has a light, weightless pigment formulation that gives fine, glowing coverage without looking like foundation,” she says. 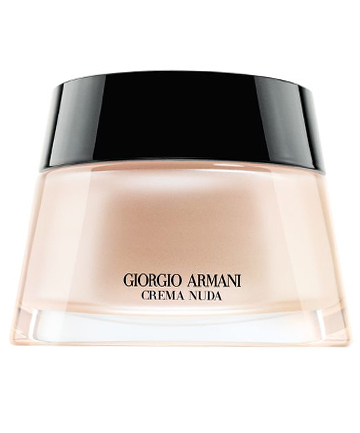 “It contains hyaluronic acid and mannose, which are both super rich and moisturize the skin all day.” She usually pairs it with Giorgio Armani Maestro UV SPF 50 Primer, $64, which is a primer and sunscreen in one. “It has SPF 50, which is the minimum sunscreen I wear every single day,” she adds. 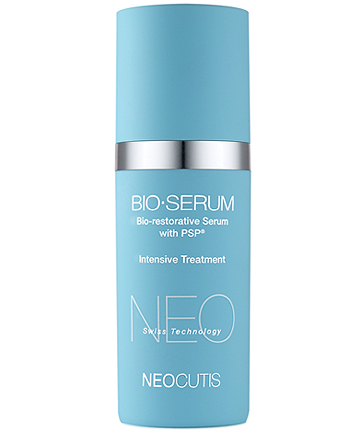 Dr. Palm explains that, as a skin care line, NeoCutis is built off a proprietary human growth factor derived from a single line of rapidly proliferating cell lines. “This product, in particular, contains twice the concentration of growth factors as other products in the line, thus it has a higher price point,” she says. “Growth factors are large proteins that are unable to penetrate the skin, but likely create cellular signaling that leads to new collagen growth and more youthful appearing skin.” Not only are the effective qualities of this line backed up by years of clinical research, but Dr. Palm points out that it’s generally well-tolerated by the majority of all skin types, even patients intolerant of retinols and retinoids. 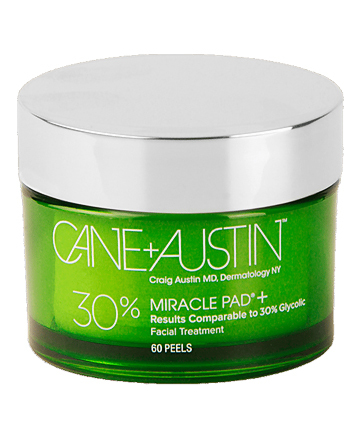 These glycolic acid-containing pads are worth the hefty price tag, according to Dr. Talakoub, who uses them as a treatment for clogged pores, blackheads and keratosis pilaris (a condition that many people have with red bumps behind their arms​ and in other areas of their body like the thighs​). She recommends this to her patients as an at-home treatment, since it works so well that you might not even need to see the dermatologist at all anymore (at the very least, it’s a great maintenance step in between visits). Don’t let its eyebrow-raising price and small bottle fool you — this is a brand and product line that you should be keeping on your radar, according to Dr. Palm. “We use this product in office before procedures to clean up the skin, ridding the extracellular matrix of harmful proteins,” she explains. It’s also used as a preparatory topical in anticipation for laser treatments — and clinical studies demonstrate a faster healing period and reduced redness following laser resurfacing.” Furthermore, Dr. Palm points out that in addition to being shown to build collagen and promote more youthful-looking skin, it also helps create new elastin, a protein that’s as indispensable to healthy skin as it is difficult to manufacture. Feel like taking your sun protection game to the next level? While $50 may seem pricey for a sunscreen, experts say this one is worth the extra expense. “It is a therapeutic sunscreen, complete with a DNA repair enzyme that has been demonstrated in clinical trials to reverse skin aging including precancerous growths called actinic keratoses,” says Dr. Palm. 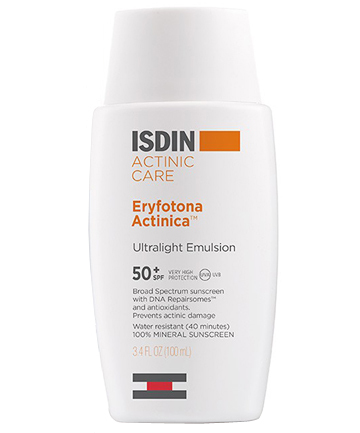 “In Europe, where this Spanish brand originates, it’s actually cleared to prevent precancerous spots.” She recommends this brand especially for patients with sun damage or a history of skin cancer. When it comes to top-shelf skin care products, it can be tough to determine which products can actually walk the walk. Some really are worth the price, while others… well, not so much. That’s why we’ve turned to the experts — AKA dermatologists, who make it their job to deep-dive into skin care ingredients and their efficacy — to find out which products you should be spending your hard-earned cash on. Most MDs in the field agree that price, while an important factor, is not always the determinant for top-notch skin care products. 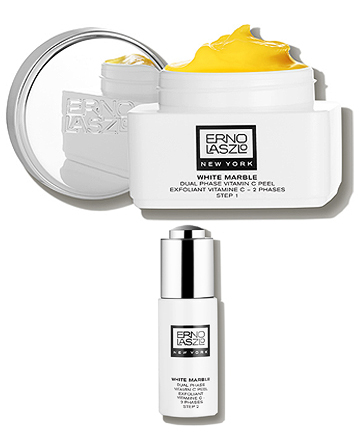 “Some $400 creams are nothing but a genius marketing ploy, and some pyramid scheme skin care lines sold by your friends may be expensive but lack real results or ingredients at sufficient quantities or concentrations or preparations to be effective on the skin,” says Dr. Melanie D. Palm, San Diego–based dermatologist, cosmetic surgeon, and founding director of Art of Skin MD. Of course, there are some spendy skin care products that really are worth the extra bucks. Dr. Palm’s best recommendation in this regard is to look for cosmeceutical-grade lines, since these brands have generally invested significant time, money and research to create products that are up to snuff (even for the high standards of a well-trained dermatologist). “There is a sunk cost for the development of such products by the manufacturers, and therefore the cost of many cosmeceutical lines are more expensive than over the counter but often competitive with makeup counter products, but with far better ingredients, science and effectiveness,” she explains. Wondering which brands and products are worth the dough? Keep reading for 10 high-performing skin care products that come officially dermatologist-approved. The post 10 Expensive Skin Care Products That Are 100% Worth It, According to Derms appeared first on theFashionSpot.